One of the most important issues in current debates on climate change is sea level rise. Hardly a day goes by when there is not a newspaper article, TV or radio presentation on the topic. Nearly half of the world's population live on or near the coast, so there is real concern about the impact that future sea level rise may have. Yet media predictions of future changes tend to be depicted in a sensationalist manner and quite often the explanations of the science of sea level change bear little relation to reality. This book details the history of scientific discoveries that have explained the patterns of sea level change that have taken place across the Earth in the past. Alastair Dawson introduces the many complex processes, some of which are not well-known, that influence patterns and rates of relative sea level change. 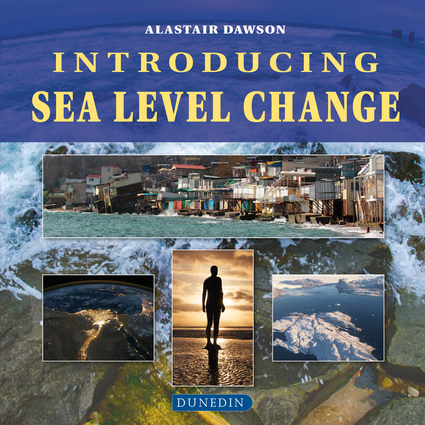 Using this knowledge, the reader is much better placed to form a clearer perspective on what the future is likely to have in store for sea levels on Earth.Alastair Dawson first addresses some of the most important misconceptions about the topic of sea level change. He then explains the principal causes of sea level change focusing on the key issues of vertical land movements and changes in global ocean volume. He explores the key areas of science that we need to understand in order to evaluate competing assertions of how sea level is likely to change in the future. He also shows how, remarkably, the melting history of the last great ice sheets on Earth is still playing an important part in contributing to present patterns of sea level change. The book concludes with a consideration of the rates and patterns of sea level change that have occurred over the last century and demonstrates how satellite technology is presently contributing new ways of understanding of present patterns of change. Alastair Dawson is Honorary Professor of Physical Geography at the University of Dundee. He is a graduate of the University of Aberdeen, Louisiana State University and the University of Edinburgh. He has published over 100 academic papers on various aspects of sea level change research and coastal science undertaken over the last 40 years.